November 07, 2018, 9:12 a.m.
Associated British Foods, the owners of Primark, blamed ‘unseasonable weather’ for a slide in the high-street retailer’s sales across Europe. Sales dropped by 2.1% for the year to 15 September at stores open more than 12 months. The decline compared with a 1% increase for the previous year. With 2018 generally bringing torrid news for the British high-street sector, are there any worrying signs for Primark too? Until this point Primark has generally been an incredible success story – all while shunning online sales completely, which goes against the wider industry trend that has impacted established brands. Newly launched YouGov Ratings data indicates that Primark is the 6th most popular high-street retail brand in the UK. Over six in ten (61%) Britons have a positive opinion of the brand, against just 13% that have a negative opinion. Additional data from YouGov BrandIndex charts how Primark has managed to stay competitive in the past few years. Compared to high-street rivals that have seen their scores stagnate or even drop, Primark continues to improve across several metrics. 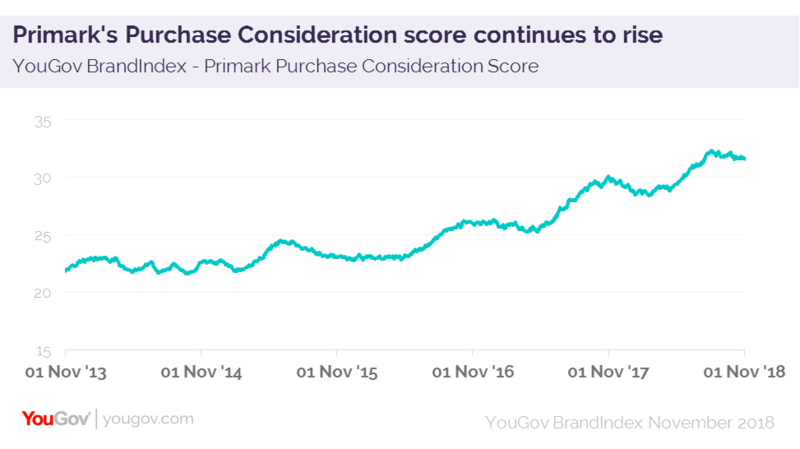 Primark’s Buzz score – which measures whether someone has heard something positive or negative about the brand – has improved markedly since November 2013. Then, its score hovered around 0, but now it stands at +6, indicating that it is generally avoiding damaging headlines and generating positive ones. 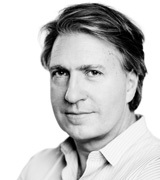 As the brand’s Buzz score improved, its Value score has, too. Of course Primark’s main selling point has always been its value for money offering, but it is still notable that its score has moved from +7 to +27 in five years. Alongside this, the brand’s Purchase Consideration score has also risen. In November 2013 it was a still very respectable 21%, but since that time it has grown to an impressive 32%. Among those aged 18-34 the situation is rosier still, with an increase of 15 points across the same time period, from 28% to 43%. In short, our data suggests that the situation at Primark remains healthy, with its key brand perception metrics moving in a positive direction.